At least, someone out there believes he is. Oliver himself thought he was one of the world's duller men, working as a financial analyst in San Francisco by day and eating microwave dinners by himself every night. That was until he befriended a stray cat, and then one lonely night the cat began to speak to him. Now Oliver is on the run, hunted by an inhuman assassin whose client believes Oliver is the "Destroyer of Worlds." His only hope for survival rests with a trio of unlikely new allies: A werewolf with a fondness for Hawaiian shirts, an emotionless little girl who is much, much older than she appears, and a genocidal gunfighter with a serious anger management problem. Log In to track Matthew Storm on eReaderIQ. 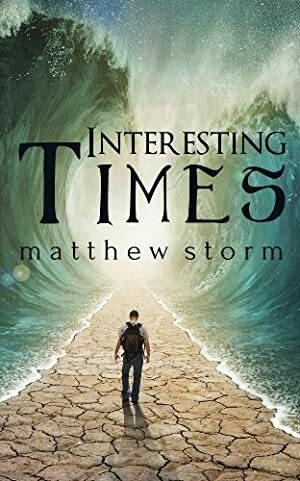 to be notified each time the price drops on any book by Matthew Storm. to stop tracking Matthew Storm. We started tracking this book on April 2, 2013. The price of this book has changed 41 times in the past 2,215 days. The current price of this book is $3.99 last checked 23 hours ago. The highest price to date was $5.99 last reached on October 3, 2013. We last verified the price of this book about 23 hours ago. At that time, the price was $3.99. This price is subject to change. The price displayed on the Amazon.com website at the time of purchase is the price you will pay for this book. Please confirm the price before making any purchases.